Several Stanford-affiliated organizations are offering programs for students interested in exploring public service and entrepreneurship through this summer, with application deadlines approaching in the coming weeks. The Haas Center for Public Service offers a number of fellowships that encourage Stanford students to pursue public service through field-based experience both domestically and overseas. One such fellowship is the Spirituality, Service and Social Change Fellowship, provided by the Haas Center in partnership with Stanford’s Office of Religious Life, which allows participants to explore the intersection of spirituality and service. Begun 20 years ago to train students for ministry life, the fellowship was revamped in 2003 to include those with any kind of religious background. Fellows engage in weekly discussions, have access to selected readings and participate in a range of service activities. The Haas Center gives participants a $5,500 stipend to work at a Bay Area nonprofit organization of their choice, with the requirement that the organizations are inclusive and non-partisan. 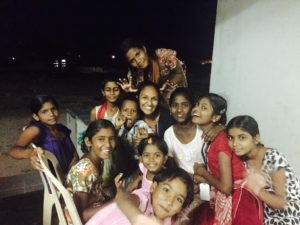 The Haas Center also provides students the opportunity to serve international communities through initiatives like Project Dosti, a student-run organization that sends eight volunteers to two largely rural regions of India, where students work to empower communities through education. In the past, volunteers have held workshops about women’s education rights, educated villagers about the problems of female infanticide and participated in village-wide dialogues. Haas Center fellowships have deadlines in February and March. Part of the Haas Center’s Cardinal Quarter initiative, Stanford in Government (SIG) offers 75 fully funded fellowships and internships that send Stanford students to different parts of California, across the United States and overseas to locations like Hong Kong, Qatar and India. The nine-week fellowships focus on topics from human rights issues to environmental health. The programs draw on a diverse set of skills; one of SIG’s most popular fellowships at the United Nations’ refugee agency in Geneva, Switzerland involves digitally mapping the movement patterns of Syrian refugees. SIG provides stipends to fellowship participants in order to encourage them to take part in public service positions, which are often unpaid. The purpose of the fellowship program, according to Olivia Martin ’19, is to make public service financially accessible. Martin, who completed a fellowship in the California Department of Education, worked on California’s K-12 accountability system, developing more robust indicators of college and career readiness. According to Martin, government tasks move at a different pace from the quickly evolving scene of Silicon Valley. “The challenge of creating policies that must satisfy so many different interest groups requires a different mindset from that of a business or a startup,” Martin said. For Ameena Tawakol ’17, the SIG fellowship experience gave her “new understanding into what it means to be a public servant.” After working under a Santa Clara County supervisor, Tawakol walked away with an acute understanding of how elected officials juggle constituent concerns with their own principles and priorities. The fellowships are open to students of all majors and all years, with an application deadline of Feb. 7. Stanford students can also turn to externally funded summer initiatives. For the past 11 years, Lightspeed Venture Partners, a multinational venture capital firm, has offered the Lightspeed Venture Partners Summer Fellowship. This program provides aspiring entrepreneurs with intensive training in business and mentorship, as well as funding for independent projects. The fellowship allows college-level entrepreneurs to work full-time and build a business under the tutelage of successful company founders. Accepted teams receive $15,000 per person, $5,000 for additional funding and designated office space to work. The second round of applications to the Lightspeed Venture Partners Fellowship is currently open to students. For students pursuing higher education, The Wonderful Company, a private corporation specializing in creating healthier alternative brands like POM and Fiji, partners with the Maddy Institute to offer the Wonderful Public Service Graduate Fellowship, two $56,000 fellowships to fund students’ advanced degrees, with an application deadline of Feb. 24. The Maddy Institute, an educational institution in Fresno, was established to empower students to participate in the democratic process through public service and leadership training. Contact Namita Nabar at nnabar ‘at’ stanford.edu.